Washington State no longer has Pac-12 record-setting quarterback Luke Falk, and his replacement appears to be Gardner Minshew, an East Carolina transfer. He gets no easy landing in the opener, on the road against a Wyoming defense that held host New Mexico State, last year’s winner of the Arizona Bowl, to seven points. Minshew will undoubtedly throw often and can cement his status as the Cougars’ starter after a tough camp battle with Trey Tinsley and Anthony Gordon. The Wyoming senior had a huge game against New Mexico State and his 190 yards were more than he had in his first three years combined. His performance allowed Wyoming to take pressure off freshman quarterback Tyler Vander Waal, who is replacing Josh Allen, the No. 7 pick in the NFL draft and led the Cowboys to an 8-5 record last year and a win in the Idaho Potato Bowl. If the Cougars can stop Wyoming’s running game, and force the young Vander Waal to beat them, they should be in good shape. Will WSU’s defense be stout again? 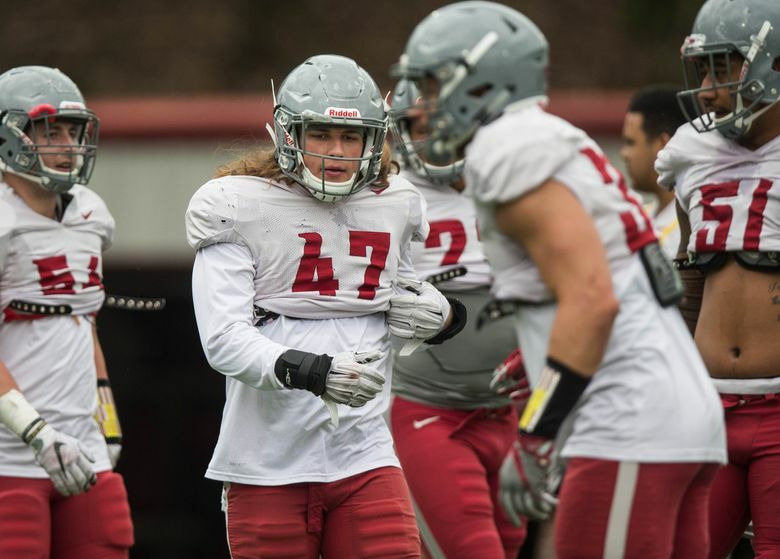 The Cougar defense steadily improved in three years under defensive coordinator Alex Grinch, who left for Ohio State. Former Minnesota coach Tracy Claeys takes over as DC and inherited a unit that lost a lot of top players to graduation. The defense got a big boost when middle linebacker Peyton Pelluer was granted a sixth year of eligibility. With some uncertainty for both teams at quarterback (one making his second start, the other his first for his new team), this game could be decided by the defenses.